TDS is deducted as per the Indian Income Tax Act, 1961. TDS is controlled by the Central Board for Direct Taxes and it is a part of the Indian Revenue Service Department. Besides interest income earned on bank deposits, TDS is levied on various incomes & expenditures. Salary income, lotteries, interest income from post office, insurance commission, rent payment, early EPF withdrawals, sale of immovable property etc. fall under the ambit of TDS. Based on the Budget 2016-17 proposals, following are the revised TDS threshold limits & rate of TDS applicable for the Financial Year 2016-17 (Assessment Year 2017-18). Winnings from Horse Race – The threshold limit has been increased from Rs 5,000 to Rs 10,000. Payment of Insurance Commission – The limit has been decreased from Rs 20,000 to Rs 15,000. Commission or brokerage – New threshold limit is Rs 15,000 and the existing limit is Rs 5,000 only. Payments to contractors – The TDS threshold limit has been proposed to increase from Rs 75,000 to Rs 1 Lakh. Payment of NSS Deposits (National Saving Schemes) – TDS rate has been decreased from the existing 20% to 10%. Commission on sale of lottery tickets – TDS rate has been decreased from the existing 10% to 5%. Commission or brokerage – TDS rate has been decreased from the existing 10% to 5%. There is a common misconception / myth that if there is no TDS then the schemes or investments are tax-free. But, this does not mean that the withdrawal is Tax-free. It is just that there is no need for an employer (Deductor) to deduct TDS on these types of withdrawals. However, the onus of paying taxes (if any) on this EPF amount lies with the employee. It’s a misconception that, if the employer has deducted TDS, you need not worry about filing your income-tax return. Your employer deducts TDS on your salary income only, whereas you may have income from other sources (like interest income from Bank Deposits, rental income etc.,) and you have to include those in your Tax Returns. 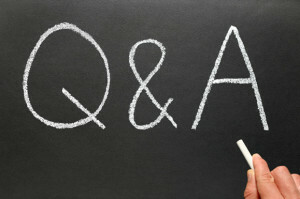 Another misconceptions is – ‘No additional Income-Tax is payable, if taxes are already deducted (TDS) on income’. Actually, depending on nature of income, TDS rates vary. On salaries, employers adjust the rate such that the entire tax liability of the employee is deducted by the year-end. On fixed deposit interest, banks charge TDS at 10 per cent. But if the deposit holder does not provide his permanent account number, banks deduct tax at 20 per cent. Like most of us, the Government doesn’t like to wait for its money. It wants us to pay tax dues or at least a portion of it as and when we get our incomes. So, make sure you meet the compliance requirements which are related to TDS. If you are eligible to submit Form 15G/15H, make sure you do it at the beginning of the financial year itself. Kindly note that false declarations for TDS avoidance can result in penalties and interest charges. So, avoid doing it! How to fill new Form 15G / Form 15H? I want to make a withdrawal from my PF account with less than 5 years of service. I do have a PAN number. So the tax deducted should be 10 % ? I will appreciate your confirmation ? Also, I would like to seek your professional help in PF and tax matters. Can you please send your contact information on my email if possible. Thanks. If Form 15G is applicable, and is submitted along with withdrawal form, TDS is not deducted. However kindly note that no TDS does not mean no tax liability. EPF balance if withdrawn before 5 years is a taxable income. I have recently stopped offering one to one Financial planning services. You may kindly reach me through Contact page. Thanks very much for your reply ! I had a quick follow-up question and will appreciate your advice. I had moved out of India a few years ago and DO NOT HAVE AN AADHAR CARD but DO HAVE A PAN CARD. The company documents state that Aadhar card is a document they need but they are not clearly stating if I can use the PAN card instead of the Aadhar card. Can you please advise if one can submit some other document instead of the Aadhar card ? As I am out of the country, getting an Aadhar card may not be possible for me or too long of a process. Aadhaar is not mandatory to withdraw EPF balance. Yes, you need to enclose a copy of your PAN card through your employer. Read : New Composite EPF claim (Non-Aadhaar form). THANK YOU once again ! Your knowledge and consideration is greatly appreciated. I have no job, age 52. 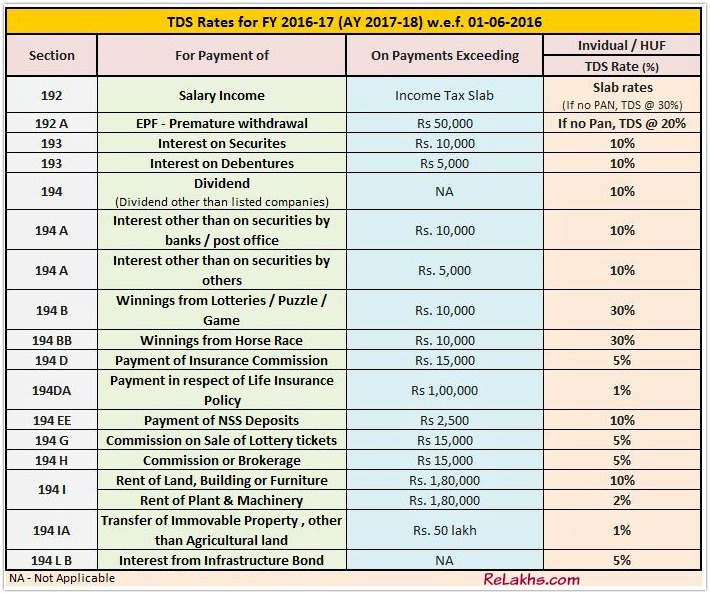 1) Will bank will deduct 10% TDS Rs 26250? 2) How I can STOP BANK to deduct above TDS? like Form15G any other Form is there? 1 – If your interest income is above basic exemption limit, form 15 g can not be submitted. If you have submitted it, bank may not deduct TDS. But kindly note that no TDS does not mean no tax liability. You need to file your ITR. No TDS will be deducted if TDS amount on Post Office RD commission is less than 15,000/- during the financial year. 2. It means TDS will be deducted after few months when TDS amount goes above 15,000/- i.e. sir, i have completed my five year of service in an organisation. now i have to withdraw my provident fund which might be one lakh and twenty thousand( appx calculation), now suggest is there is any tds liablity if so then the case what should i have to do. Dear avdesh ..Are you still employed? In case, you have resigned and remaining unemployed for more than 60 days, you can submit New EPF composite Withdrawal form. If you have contributed to EPF for more than 5 years , the withdrawal amount is not subject to Income Tax. 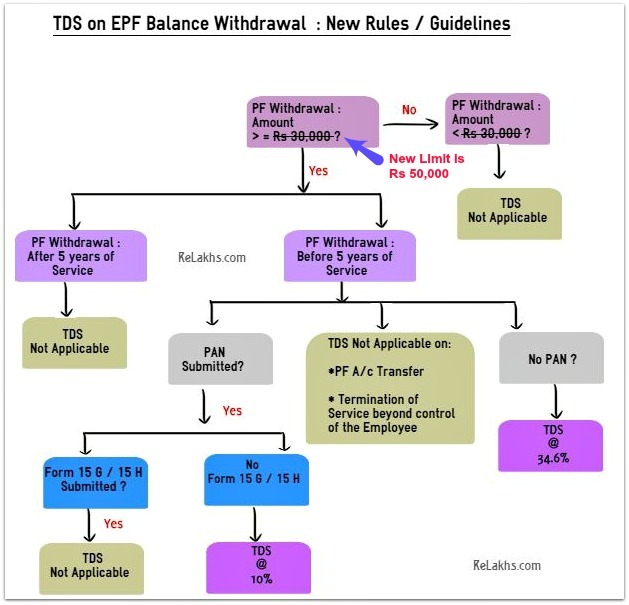 Read : EPF withdrawals & new TDS rules. For FY 2016-17, TDS on brokerage is @ 5%, and the threshold limit is Rs 15,000. TDS WILL DEDUCT? IF YES THEN HOW? As per tax rate, income up to Rs. 300,000 exempted from tax . if your income exceed from Rs.300,000 than you will be entitle for tax. Hai.. I am a Govt. Employee. My mother is suffering from cancer. Due to which I have incurred expenditure an an aomunt of Rs.3,00,000/- for secure treatment to my mother ill-health in referral hospital and the same has reimbursed by the Deptt.,. Further, it is to inform that I have not been drwan or paid any Medical allowance . Hence, I request to kindly ratify whether the above medical reimbursement amount is to be taken as perquisite for the purpose of income . In My 26as , TDS is mentioned as -6000, what’s does that means? When the errors of TDS Returns or in the challan details uploaded by the bank are rectified, the original credit entries are reversed by way of a debit entry (indicating a negative sign) in Form 26AS. Dear Kumar..Kindly consult a CA. we need clarification regarding tds rate applicability on Firm u/s 194C. If the payments are made to ‘Individual / HUF / Sub-contrator ‘ then TDS rate is 1%. If the payments are made to other than individual then TDS rate is 2% on the Contract Value. if labour is paid during financial year to more than 50 individuals amounting to Rs.8000/- to Rs.10000/- each, what shall be the rate of TDS and what is the threshold limit for labour work. Labour was paid to these indviduals for making gold and silver jewellery. Dear ANUJ ..Suggest you to consult a CA. My rental income 6 Lakha per annual , what will be the TDS rate. Dear Badsha ..It’s @ 10%. TDS are applicable on Purchase of Packing Material & Cataloging Expenses? if applicable, under which Section & How Many Percentage(%)? Purchase of Packing Material is not attract of TDS but cataloging expenses ( where labour charges is involve ) is 1% in case of proprietorship concern and other 2% excluding ST & Cess. I am purchasing a flat from an NRI. I am getting different TDS rates ranging from 13%-20.66%. What is the correct TDS that i should deduct from the agreement value and when? Dear Sameer..I believe that tds rate is 20.6% (if sale price is less than Rs 1 cr) & 22.66% if it is more than Rs 1 cr. I have income from tuition fees. Is it possible to file Income Tax Return…? Dear Sujata ..yes, you can file ITR 4 or ITR-4S. Please guide me if TDS on property purchase filed wrong Form26QB instead of Form27Q while seller is NRI. I believe that the buyer has to contact AO (your Jurisdictional Assessing officer) and can request him/her to correct/rectify the TDS payment. AO can cancel the challan 26QB and refund the TDS. You may have to file fresh TDS with Form 27Q and penalties (if any). Thanks for this valuable information sir !!!! This is nice mechanism to solve the problems of someone which are required by them. keep it continue Mr. Sreekanth Reddy I will appreciate you. Dear IMRAN..You can file your ITR and can claim TDS as refund (if any). Dear Vijay…Use this calculator, click here..
calculator…lol…ur advise is not making any sesne .. you should proived complete details with examples so that person could resolve their query asap…. a person may also know about the calculator , but usse pata hi nahi ki karna kya h to calculator ka achaar daalega !!!!!! hopefully samajh aaya ho and ab ap revert kijiye inhe solution k saath ..!! 30% or 30.9% for 194b ? Dear Nagarjuna..To be precise yes it is 30.9%. Income tax 30%, Edu Cess 2% and SHEC 1% on tax). dear sir please guide me regarding VAT, WHAT IS VAT , and how it is generated ,like you mentioned the TDS in very much detail .please give some light on VAT also.please. The Limit of Rs. 10,000/= is only in case of Savings Bank Account Interest. yes sir this is only for savings bank account interest under section 80TTA. 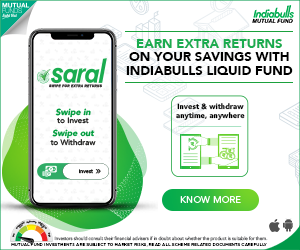 If your interest income is below basic exemption limit and tax liability (gross income – tax deduction) is also below basic exemption limit then you can submit Form 15G. You can claim tds (if any, deducted) as refund by filing ITR. You can file Income Tax Return and take the TDS in consideration for claiming and take Refund of TDS deducted by the bank on Interest income. Nearly i have canvassed a student to a Institution. So they offered me a 10 % ( 17000 INR) as commission. but they deducted 20% as TDS from my commission and they told me that is because i don’t have a pan number. Is it a correct calculation…? Dear Anvar..Yes they are right in doing so. Suggest you to apply for PAN & then can claim the TDS as refund by filing ITR. and 5% is vat as per vat slab vat amount Rs.2000/- is vat amount . Total amount Rs 42000 you will charge to party. vat slabs may be other due to vat slab percentage are different in every state . Sir This is right for deductor to deduct the TDS at 20% when the deductee not provide his/her PAN card the the deductor. If you provide the PAN card then the rate will be the rate which is prescribed for the specific income. Tds will not be deducted on photo shoot bcz it is not more thn 30 k in a year under sec 194j profession or legal charges . Dear Manish..Thank you for this info. IN THE NEW TDS CHART SECTION 194C CONTRACTOR SUB CONTRACTORS NOT MADE ANY DETAILS THAT MEAN FROM 01.06.2016 ONWARDS TDS NOT APPLICABLE FOR CONTRACTORS SO PLEASE CLARIFY AND CONFIRM REGARDING 194C. Ms. Sonam there is no any TDS will be deducted by you because the limit under section 194J is not touch and the amount pay to the child artist is only Rs. 25000. Is Form 15 G or 15 H is mandatory ? If it is not submitted what can be done by Bank? Whether TDS will be levied against F.D invested for more than 5 (Five) Years ? Dear Banerjee..If interest income is more than Rs 10k, banks will deduct TDS. A very very good excellent job giving full details. Thanks a lot Mr.Sreekanth for your valuable info .. Thank you for providing the brief info related to TDS.. Thank you for this valuable information !!! This chart helps me to learn so many things. Great job Mr Sreekanth Reddy .